As a result of this, Kev & Sam Taylor pioneered a daughter church which is called Elim Church Bewbush. 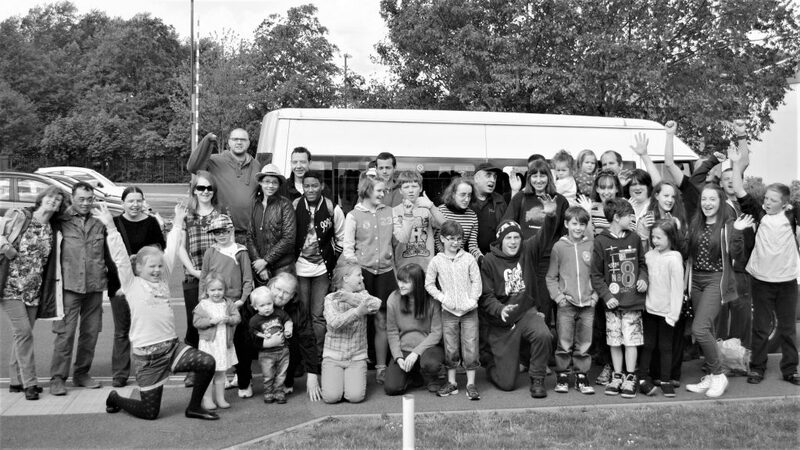 We are committed to the local area and meet every Sunday at Waterfield Primary School (Waterfield Gardens, Crawley, West Sussex RH11 8RA) at 10:30am as well as having a range of community focused activities and events for local people at various times throughout the year. Everyone is welcome at Elim Church Bewbush and we invite you to meet with us to experience a disturbance of profound significance. We are part of The Elim Pentecostal Church which is a UK registered Charity (No. 251549) and a growing Movement of more than 550 Christian congregations in the UK and Ireland with links to around 9,000 churches around the world. We work in co-operation with thousands of Pentecostal churches around the world with missions work in over 40 countries. The founders of Elim wanted the name of the Movement to express their vision and values, and so chose ‘Elim’, the name of an oasis in the Bible that the people of Israel discovered as they wandered through the desert. It provided shade and refreshment to all who encountered it. Our churches still seek to be a place of spiritual resource within their communities.